For this issue we’ve made an extra effort to encourage and appreciate the use of old motorcycles, hence the ‘get out and ride’ motif you’ll see on some of the pages. 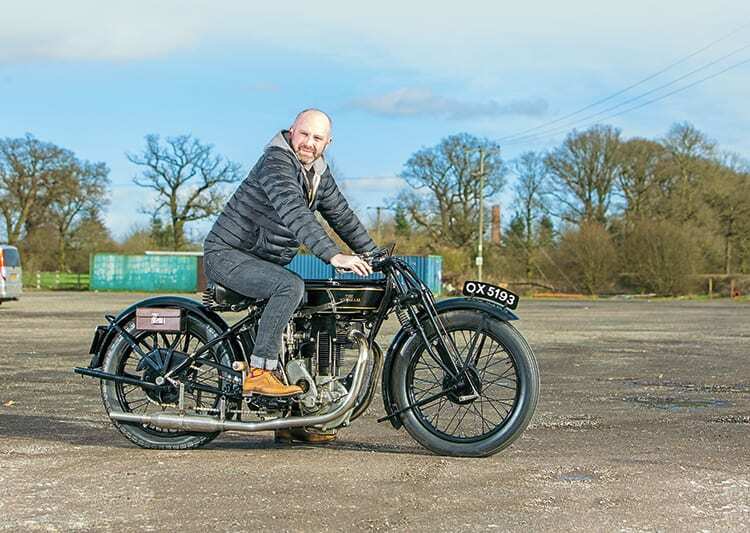 The breadth of events oldmotorcycle ownership and interest opens up is hopefully demonstrated, be it trials, road racing, VMCC-type runs, European events, veteran and modern machine specific – there is, we hope, something for everyone. And Steve Parrish’s Panther is ready to ride, too! In the name of practising what I preach, I’ve been out riding a fair amount, on all manner of machines, including some truly memorable events (Montlhéry and Banbury) plus the usual club runs and general gallivanting. I enjoy it all and appreciate the different motorcycles I am lucky enough to have access to. Riding the Series A Rapide racer was exhilarating and a true fulfilment of a dream (I’ve had the famous picture of Ginger Wood at Donington pinned to my wall for years) and to do it at the historically significant Montlhéry made it extra special; while a Bullnose Model 90, like I rode at Banbury, is, arguably, the quintessential vintage enthusiasts’ motorcycle. Again, I’ve always dreamed of riding such a Sunbeam. There are so many different facets of classic riding that can be enjoyed. Sure, thrashing around on a big Vincent is great fun, but, honestly, so is taking to the back roads of Blighty on a 175cc Bantam. Really, one can spend as much or as little as is available, and still be part of the scene and movement. A mid-to-late 1950s British 350cc single or twin, for example, will open up a world of events, and enjoyment. And while road racing or trials might not be your thing, it’s somewhere to ride to and have a look at, if nothing else. So get out and go for a ride. You know it makes sense.